Kicking off another season of Paramount Theatre’s Discovery Series: Theatre for Families, is the children’s show based on the popular book by Pat Mora — Tomás and the Library Lady. This touring production from Childsplay in Tempe, Arizona is making a one-day stop in Austin on Saturday, Oct. 21 with a show at 2 p.m. You and your children won’t want to miss this musical, inspirational story of a boy named Tomás who meets a “library lady” who encourages him to read. Scroll below to enter to win 4 tickets! Beyond the show, the whole day can be a fun family experience! Arrive at the Paramount as early 1 p.m. for preshow crafts from Mexic-Arte Museum and live music under the Paramount marquee from Haydn Vitera! Toy Joy will also be in the house giving away trinkets to the first 100 kids through the doors. And BookSpring will be holding a book drive in the lobby! After the show, you’re encouraged to head down the street to Mexic-Arte Museum for their free family day! About the show: Tomás loves stories. As the young son of migrant farm workers, he spends the summer with his family following the crops north from Texas to Iowa. When a chance encounter brings him to the local library, he meets the “Library Lady” who recognizes his thirst for knowledge and encourages him to read. 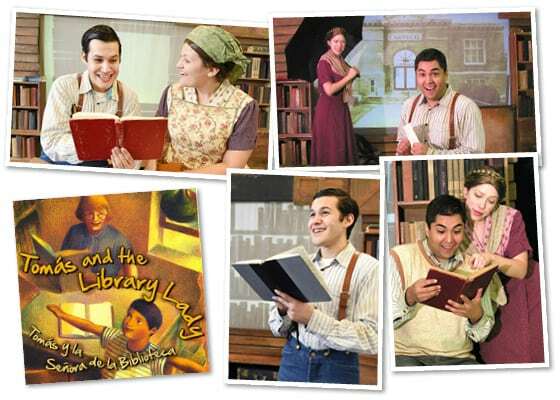 Tomás and the Library Lady is a bilingual musical, based on the beloved book about the true story of the Mexican-American author and educator Tomás Rivera, who became the first minority Chancellor in the University of California system. This inspirational production shows how reading and education — and self esteem – can make anything possible. Best for K – 5th Grade. Tickets range from $10–$18, and can be purchased online here. Beacause this event is part of the Paramount’s 2018-2019 Discovery Series, you can add two more shows to receive subscriber benefits. Giveaway! We have a 4-pack of tickets to give away. Enter below. Good luck!